In our previous post Fix your mind upon the Supreme Personality of Godhead it was recommended that we should fix one’s mind in the service of the Personality of Godhead. Now the next step is to meditate upon the form of the Lord. To move from the impersonal to the more personal aspects of the Absolute Truth. Thereafter, you should meditate upon the limbs of Viṣṇu, one after another, without being deviated from the conception of the complete body. Thus the mind becomes free from all sense objects. There should be no other thing to be thought upon. Because the Supreme Personality of Godhead, Viṣṇu, is the Ultimate Truth, the mind becomes completely reconciled in Him only. …Therefore, thinking of Viṣṇu or meditating upon the transcendental form of Viṣṇu, specifically upon Lord Kṛṣṇa, is the last word on the subject of meditation. …it is definitely assured that the Supreme Lord is not impersonal. He is a person, but His body is different from those of conditioned persons like us. Otherwise, meditation beginning from the praṇava (oṁkāra) up to the limbs of the personal body of Viṣṇu would not have been recommended by Śukadeva Gosvāmī for the attainment of complete spiritual perfection. The Viṣṇu forms of worship in great temples of India are not, therefore, arrangements of idol worship, as they are wrongly interpreted to be by a class of men with a poor fund of knowledge; rather, they are different spiritual centers of meditation on the transcendental limbs of the body of Viṣṇu. The worshipable Deity in the temple of Viṣṇu is identical with Lord Viṣṇu by the inconceivable potency of the Lord. tatra—thereafter; eka—one by one; avayavam—limbs of the body; dhyāyet—should be concentrated upon; avyucchinnena—without being deviated from the complete form; cetasā—by the mind; manaḥ—mind; nirviṣayam—without being contaminated by sense objects; yuktvā—being dovetailed; tataḥ—after that; kiñcana—anything; na—do not; smaret—think of; padam—personality; tat—that; paramam—Supreme; viṣṇoḥ—of Viṣṇu; manaḥ—the mind; yatra—whereupon; prasīdati—becomes reconciled. Foolish persons, bewildered by the external energy of Viṣṇu, do not know that the ultimate goal of the progressive search after happiness is to get in touch directly with Lord Viṣṇu, the Personality of Godhead. Viṣṇu-tattva is an unlimited expansion of different transcendental forms of the Personality of Godhead, and the supreme or original form of viṣṇu-tattva is Govinda, or Lord Kṛṣṇa, the supreme cause of all causes. Therefore, thinking of Viṣṇu or meditating upon the transcendental form of Viṣṇu, specifically upon Lord Kṛṣṇa, is the last word on the subject of meditation. This meditation may be begun from the lotus feet of the Lord. One should not, however, forget or be misled from the complete form of the Lord; thus one should practice thinking of the different parts of His transcendental body, one after another. Here in this verse, it is definitely assured that the Supreme Lord is not impersonal. He is a person, but His body is different from those of conditioned persons like us. Otherwise, meditation beginning from the praṇava (oṁkāra) up to the limbs of the personal body of Viṣṇu would not have been recommended by Śukadeva Gosvāmī for the attainment of complete spiritual perfection. The Viṣṇu forms of worship in great temples of India are not, therefore, arrangements of idol worship, as they are wrongly interpreted to be by a class of men with a poor fund of knowledge; rather, they are different spiritual centers of meditation on the transcendental limbs of the body of Viṣṇu. 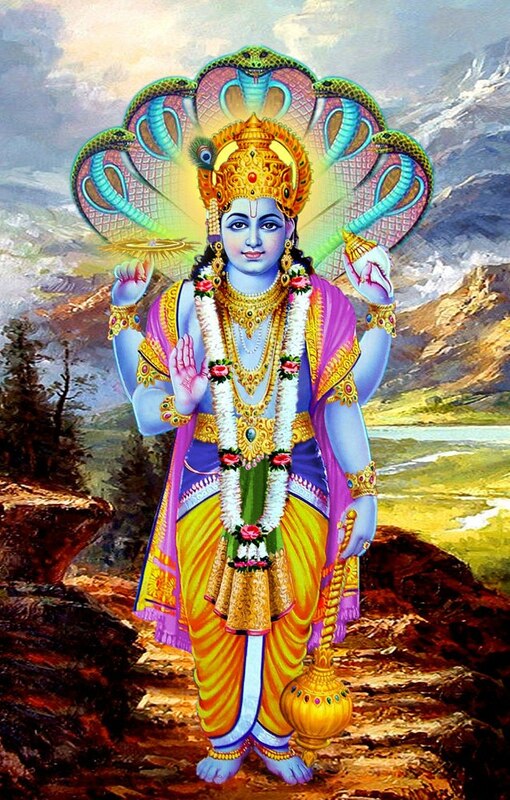 The worshipable Deity in the temple of Viṣṇu is identical with Lord Viṣṇu by the inconceivable potency of the Lord. Therefore, a neophyte’s concentration or meditation upon the limbs of Viṣṇu in the temple, as contemplated in the revealed scriptures, is an easy opportunity for meditation for persons who are unable to sit down tightly at one place and then concentrate upon praṇava oṁkāra or the limbs of the body of Viṣṇu, as recommended herein by Śukadeva Gosvāmī, the great authority. The common man can benefit more by meditating on the form of Viṣṇu in the temple than on the oṁkāra, the spiritual combination of a-u-m as explained before. There is no difference between oṁkāra and the forms of Viṣṇu, but persons unacquainted with the science of Absolute Truth try to create dissension by differentiating between the forms of Viṣṇu and that of oṁkāra. Here it is indicated that the Viṣṇu form is the ultimate goal of meditation, and as such it is better to concentrate upon the forms of Viṣṇu than on impersonal oṁkāra. The latter process is also more difficult than the former. rajaḥ—the passionate mode of nature; tamobhyām—as well as by the ignorant mode of material nature; ākṣiptam—agitated; vimūḍham—bewildered; manaḥ—the mind; ātmanaḥ—of one’s own; yacchet—get it rectified; dhāraṇayā—by conception (of Viṣṇu); dhīraḥ—the pacified; hanti—destroys; yā—all those; tat-kṛtam—done by them; malam—dirty things. One’s mind is always agitated by the passionate mode of material nature and bewildered by the ignorant mode of nature. But one can rectify such conceptions by the relation of Viṣṇu and thus become pacified by cleansing the dirty things created by them. Persons generally conducted by the modes of passion and ignorance cannot be bona fide candidates for being situated in the transcendental stage of God realization. Only persons conducted by the mode of goodness can have the knowledge of the Supreme Truth. Effects of the modes of passion and ignorance are manifested by too much hankering after wealth and women. And those who are too much after wealth and women can rectify their leanings only by constant remembrance of Viṣṇu in His potential impersonal feature. Generally the impersonalists or monists are influenced by the modes of passion and ignorance. Such impersonalists think of themselves as liberated souls, but they have no knowledge of the transcendental personal feature of the Absolute Truth. Actually they are impure in heart on account of being devoid of knowledge of the personal feature of the Absolute. In the Bhagavad-gītā, it is said that after many hundreds of births, the impersonal philosopher surrenders unto the Personality of Godhead. To acquire such a qualification of God realization in the personal feature, the neophyte impersonalist is given a chance to realize the relation of the Lord in everything by the philosophy of pantheism. Pantheism in its higher status does not permit the student to form an impersonal conception of the Absolute Truth, but it extends the conception of the Absolute Truth into the field of the so-called material energy. Everything created by the material energy can be dovetailed with the Absolute by an attitude of service, which is the essential part of living energy. 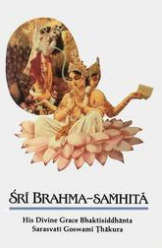 The pure devotee of the Lord knows the art of converting everything into its spiritual existence by this service attitude, and only in that devotional way can the theory of pantheism be perfected.